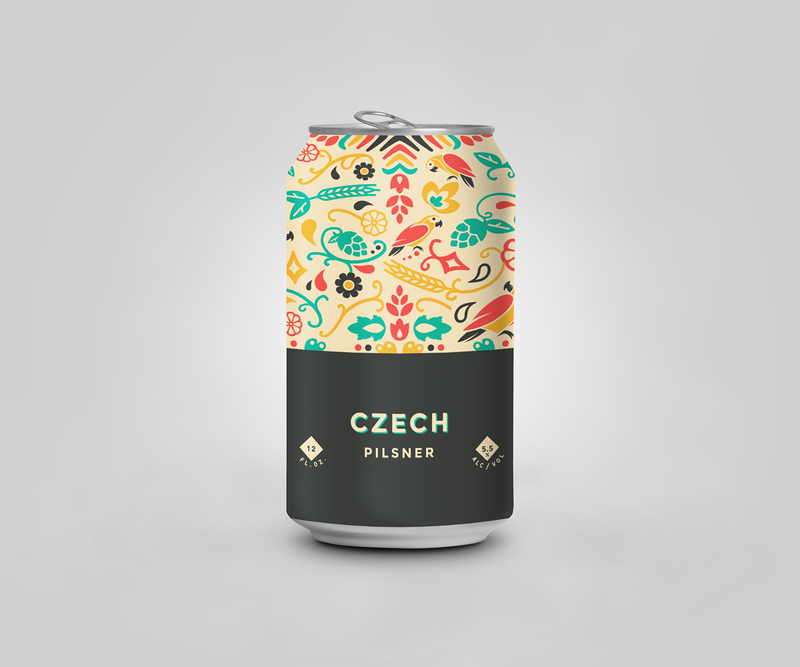 Beer can design for a local brewery, intended to reflect the Czech origins of the Pilsner recipe. I researched traditional Eastern European patterns, shapes and colors to create a colorful and fun yet simple design. Created as an illustration consultant to Athens, GA design group Young Athenians.